In a fast evolving new world of data you need immediate answers to any question you ask about your business. Imagine the possibilities of being able to analyze 7 billion rows of data in seconds to generate an insight that moves the business forward. Companies are doing this today with SQL Server 2012 and the new xVelocity in-memory technologies. bwin.party turned a large report that took 17 minutes to run down to three seconds by enabling xVelocity for their data warehouse. Beth Israel Deaconess Medical Center also enabled xVelocity and dropped execution time for a 160 column table by 88 percent. Finally, Microsoft-led benchmark testing has shown 100X reduction in query processing times for single queries. How is this new level of performance possible? This is achieved through improvements from both hardware and software. Hardware innovations allow you to have large memory storage at low cost. Software innovations delivered with xVelocity will optimize query executions for modern day hardware, that process data in memory, and switch from row to column-based organization of data. While other in-memory offerings in the marketplace may have required customers to purchase a separate hardware appliance or expensive add-ons, Microsoft SQL Server 2012 is exposing xVelocity as a core capability directly in its primary database engine. By doing so, you get the benefits of next-generation performance with your current IT hardware and software infrastructure. xVelocity also delivers these dramatic results for both Data Warehousing and Business Intelligence workloads. Data Warehousing: xVelocity memory optimized columnstore index enables you to achieve break-through speed ups for common data warehouse queries. 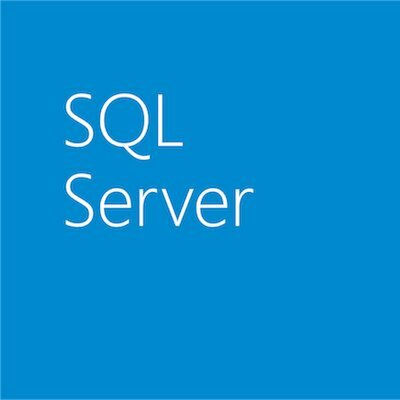 To enable this, your IT staff can simply use SQL Server Management Studio to create the column store. When the query runs, SQL Server will automatically pick the most optimized index and will bring data into or out of memory on demand not requiring you to have a memory capacity that fits your entire dataset. This design gives you the performance gains by fully utilizing the hardware you have today. Business Intelligence: xVelocity introduces an in-memory analytics engine within SQL Server Analysis Services delivering faster time to insights. With scan rates of 10s of Billions of rows per second on typical industry hardware, xVelocity gives users the ability to actively interact with an unprecedented amount of data at the speed of thought. SQL Server 2008 R2 has already demonstrated high performance with leadership in both industry benchmarks and real-world scenarios (customers running 100 million transactions daily). xVelocity in-memory technologies takes this a generational leap forward giving SQL Server the biggest performance improvements in its product history. You can now analyze billions of rows of data instantly transforming your decision making with real-time analytics.